This entry was posted on February 27, 2018 by Tyler Carrington. 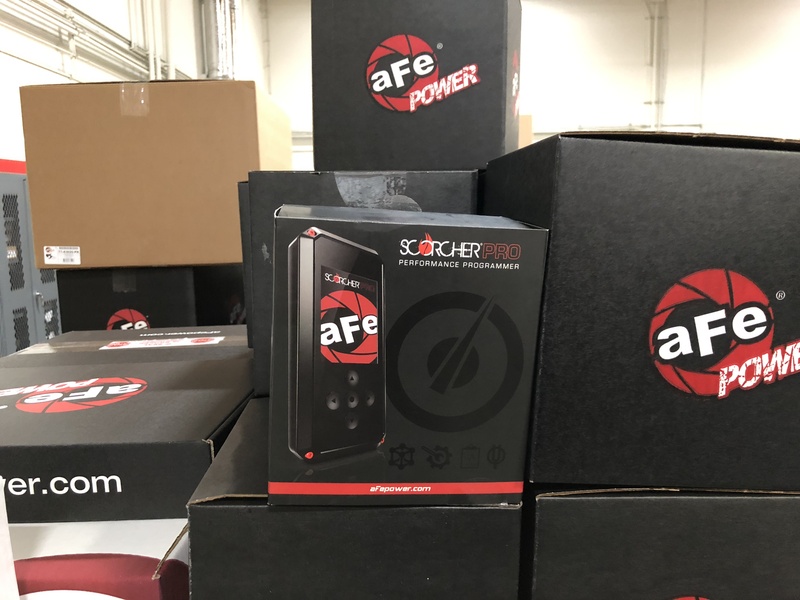 We here at aFe POWER are addicted to performance. We know to get the most out of your vehicle, you need to tune the computer that controls your engine. We’re working in conjunction with PSI POWER in Indiana to develop tunes to get you the most performance possible from your setup. For the Scorcher PRO, we offer you custom tunes that are uniquely developed for the modifications you have on your specific vehicle. We take the time to test all our tunes on our in-house DynoJet Dyno to ensure the best results. When looking for a performance computer tuner, it’s important to buy one from an established and proven brand, and the people at PSI power have been in the business for over 80 years developing tunes for all kinds of vehicles. 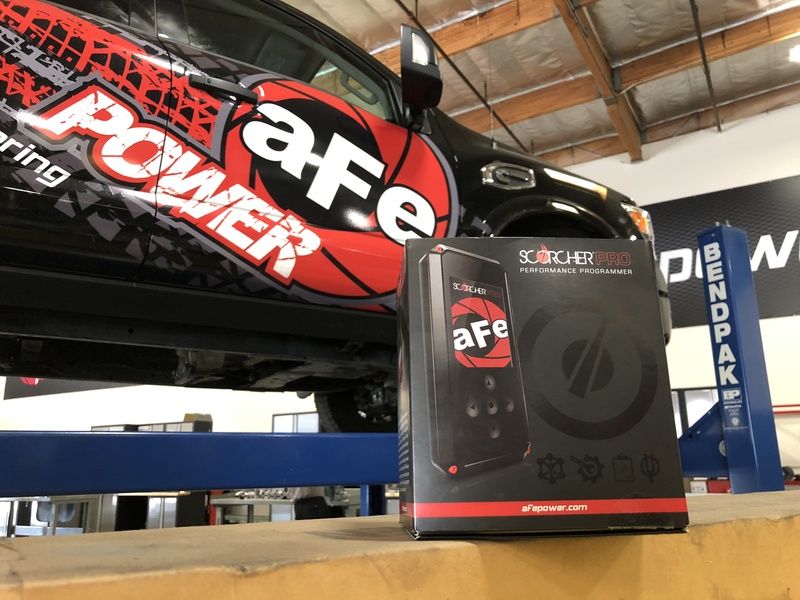 Modifying the hardware on your vehicle like an aFe Power Intake, exhaust, and headers will increase the flow and get you more power than stock, but the true power of those upgrades is fully unlocked with a computer tuner. The stock computer tune will only allow for so much flow before triggering a check engine light. 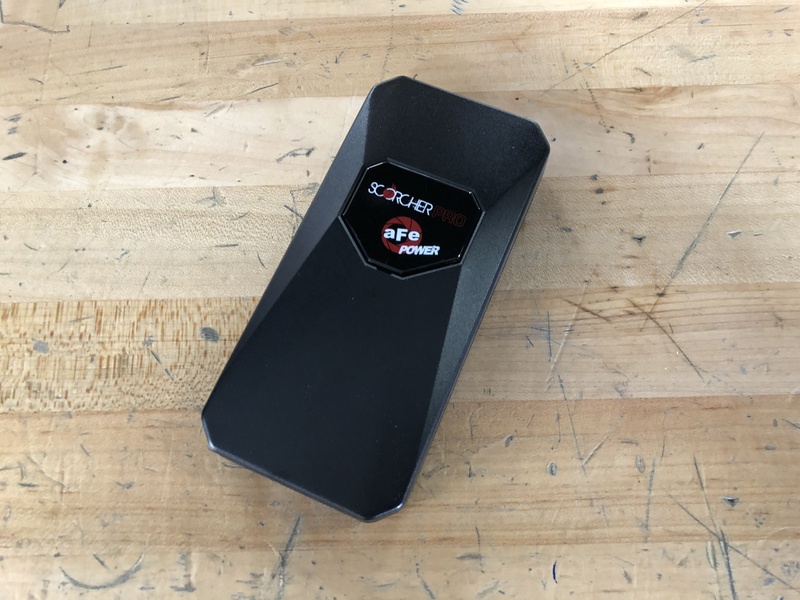 Our tuner bypasses that issue completely by flashing the computer through your OBDII port and uploading a tune that is specifically designed for the flow profile of your vehicle. 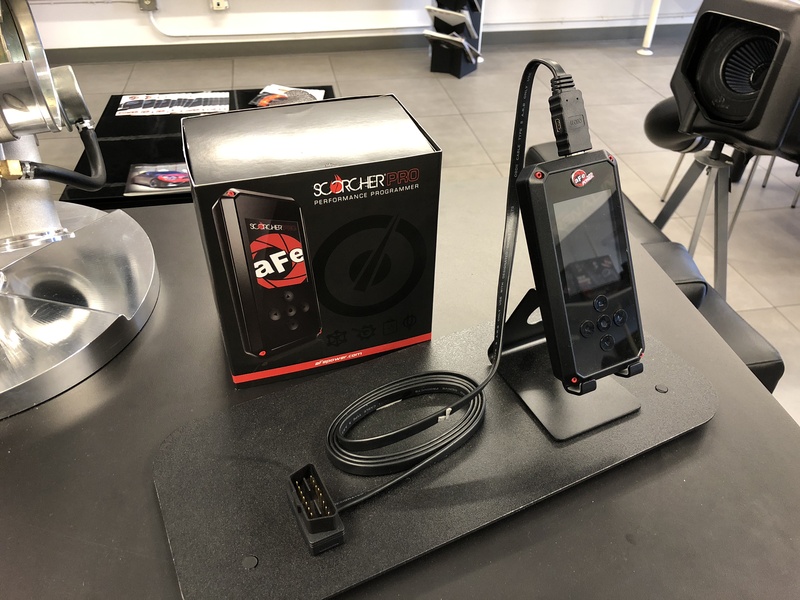 Our Scorcher Pro allows for full reprogramming of the computer with our custom designed tunes for the best performance. The Scorcher Pro also allows for ECU tunes for stock vehicles as well. 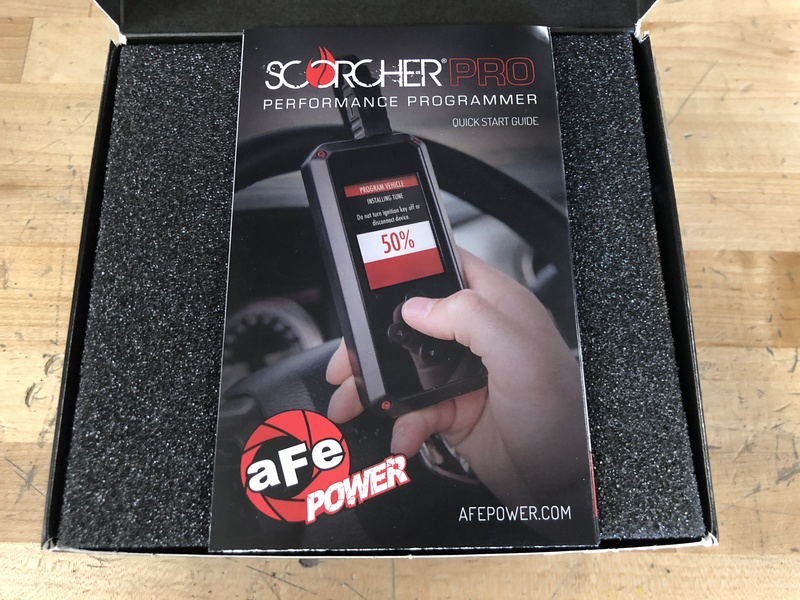 The Scorcher PRO also allows you to read and clear any diagnostic trouble codes (DTC’s) on your vehicle, and display vehicle data using on-screen full color customizable gauges. It also has Wifi capability so you can easily download your custom tunes whenever and wherever you want! 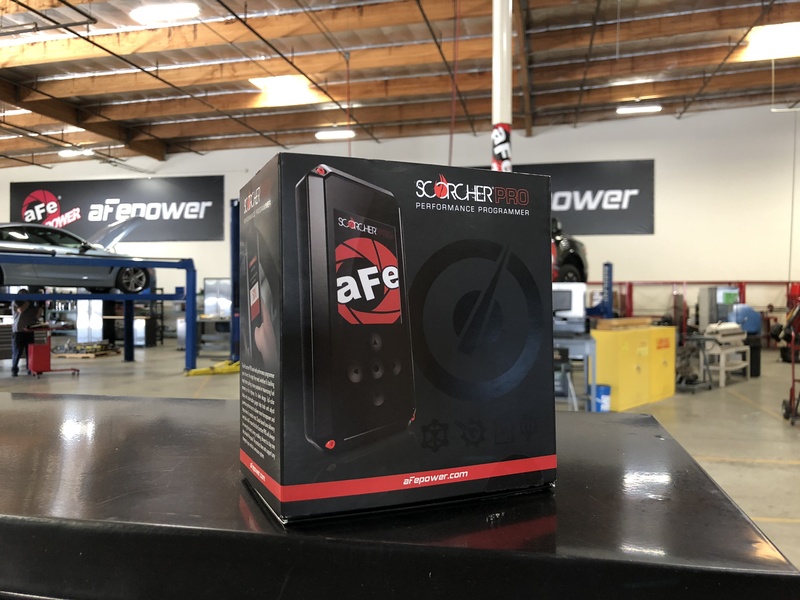 We're excited to bring you this new product that allows you to get the most power your vehicle has to offer! Hey Tyler this Derek from Las Vegas and from Instagram as flynhawaiian34. I am curious what this tuner offers and if it will work for my 2014 Ford SvT Raptor 6.2 liter and what is the price? Hi Derek! We currently do not have one for that vehicle, only the new 2017-2018 Raptor, but more platforms will be added in the future! Sam question as Derek but for a 2017 Corvette Z06 ?